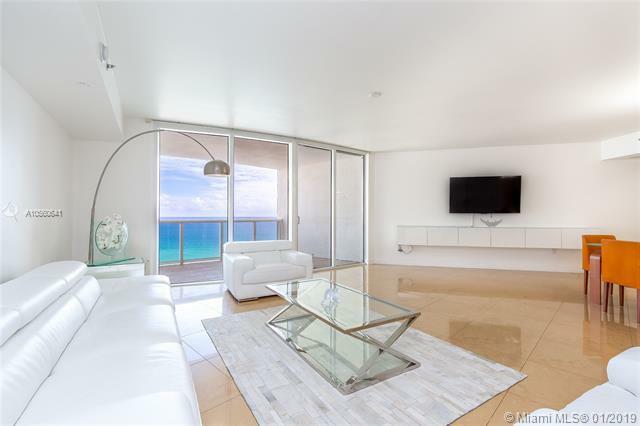 Direct Oceanfront fabulous condo. 3rd room is a den/office with a large walk in closet. 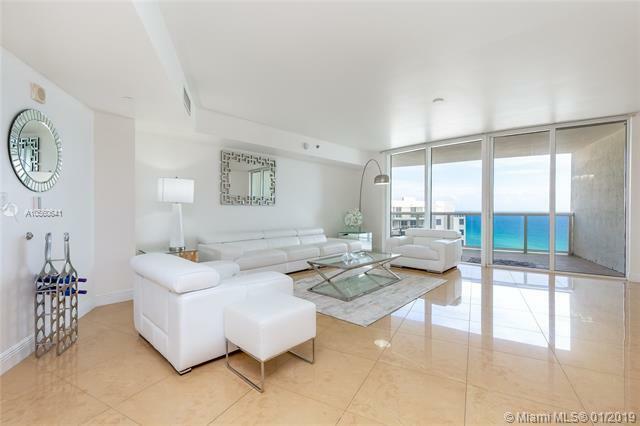 Open floor plan with living room, dining room & kitchen over looking the ocean. 2 large balconies (east and west) for sunrises and sunsets. 24" porcelain floors throughout. 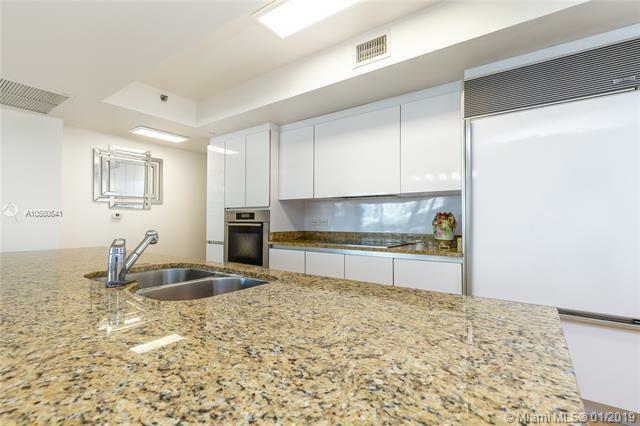 Kitchen with chef's island, modern cabinetry, Meile & Subzero appliances. Large master suite. Master bath features jetted tub, glass shower & 2 sinks. There are custom lighting fixtures, hurricane impact windows/ doors and a laundry room. 5 star amenities include pool, jaccuzzi, gym, cardio room, yoga, steam room, ping pong, restaurant & beach chair service. Prime location on the beach across from a park, playground, and plazas with cafes & shops. Walk to pier. 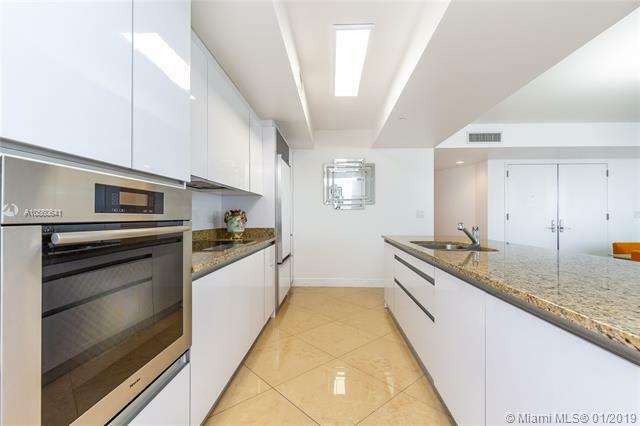 Minutes to Bal Harbor, Aventura Mall, South Beach, airports & casinos!